The ultimate tough watch by Casio, refined. The Casio Baby-G Ana Digital Watch is water and shock resistant, with an articulate industrial design. 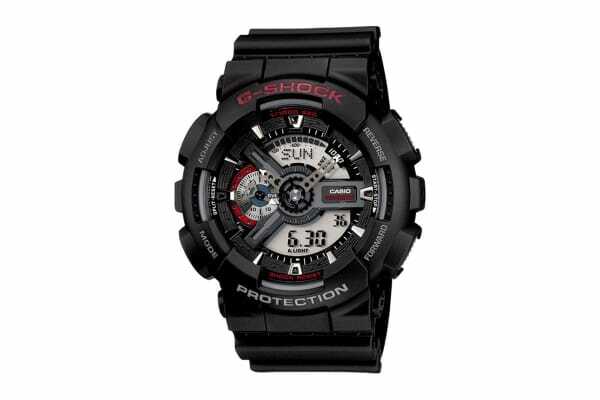 The large-case Casio G-Shock Ana-Digital Watch GA-110 analog-digital combination watch takes on a new look with the addition of metal elements that give the faces an industrial feel. The new design uses shiny metal for hour markers and the dial, in addition to the hour and minute hands.